About Us - PJ Lewis Group, Inc. The PJ Lewis Group is here to provide a confidential vehicle for companies and professionals in the Real Estate and Construction Industry to advance their organizations and personal careers. PJ Lewis Group is a retained executive search firm that delivers results through three decades of specialized search experience in the real estate and construction industries. Our personalized executive search services provide an extension of our client organizations because we represent them in the marketplace as though we were their own in-house recruiting team. 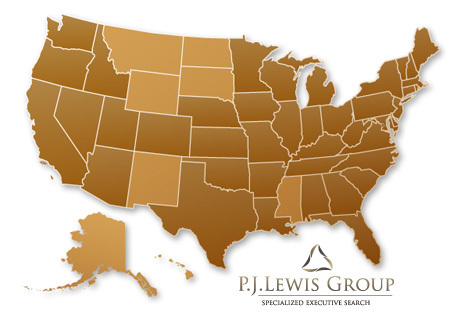 With continued success across 42 states, PJ Lewis Group applies this expertise to make high-quality judgments about employee fit that are personalized for your business. When two parties commit to a shared goal, great results follow. That is why we take a highly collaborative approach during the initial planning stages of every search. Whether an assignment is urgent and needs rapid execution or is a long-term succession plan, we develop our strategies around each client’s unique needs. The more collaborative each search process is, the more certain the desired results will be achieved. Our thorough planning is coupled with strategic use of technological tools to efficiently identify and focus in on qualified candidates. This approach, along with our industry expertise, allows us to discern which candidates will be successful, right-fit candidates. At the center of every search are people. We are committed to understanding your organization and unique needs, and we seek out prospective candidates whose skills, attributes, and personalities fit your culture and goals. We know that the addition of a new employee can affect the dynamics and performance of a team, the company, and the lives of its current executives. We also know that taking a new position can be a life-changing event for an individual. We take our role in these events very seriously, and use our renowned expertise and judgment to make each match seem effortless for each party. PJ Lewis Group is founded upon the principles of quality and efficiency. Our role is to consistently improve the operation of your organization by providing profoundly qualified talent. Paul is one of the best service providers I have ever worked with. Even after successful conclusion of his services we have remained in constant contact and he has become an outstanding source of information.